The Honourable Judith Guichon, Lieutenant Governor of British Columbia, prepares to drop the ceremonial puck. 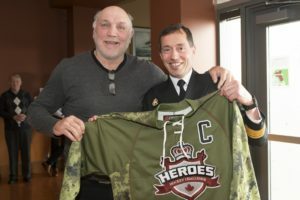 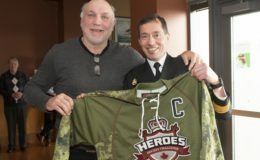 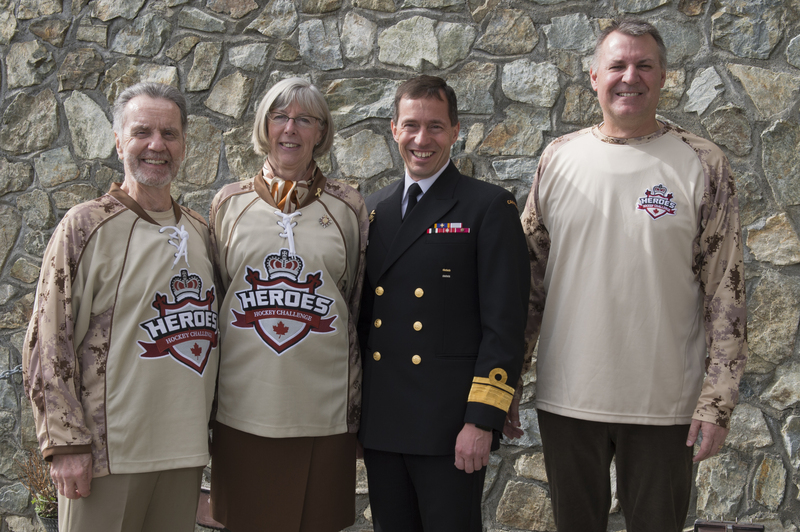 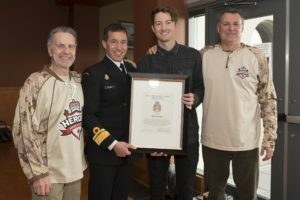 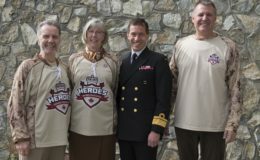 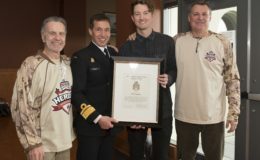 Standing from the left: Rear RAdm Gilles Couturier, captain of the HHC Warriors; Jane and Richard Nuttal; Paul Franklin; Leading Seaman (LS) Stephon Mullet; Former Vancouver Canucks Captain Orland Kurtenbach; and Alumni Captain Dave Babych. 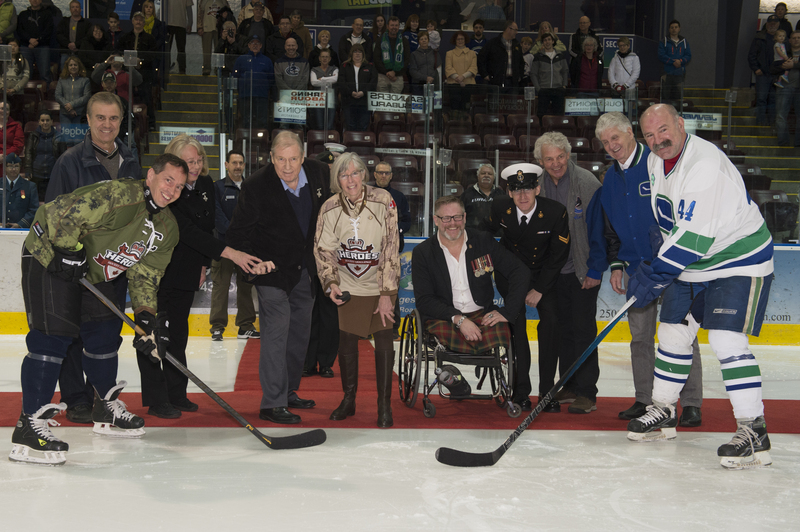 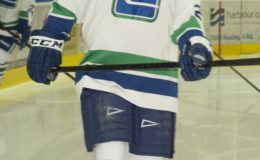 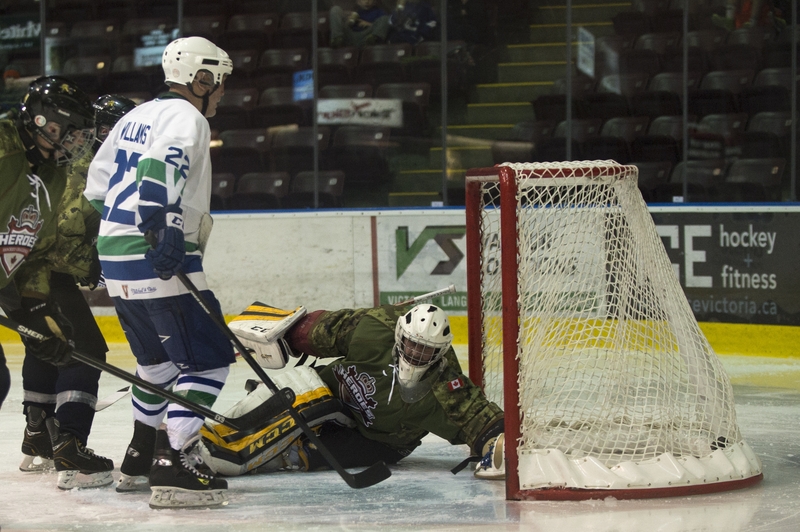 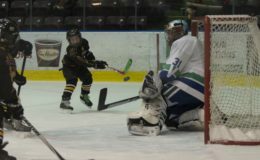 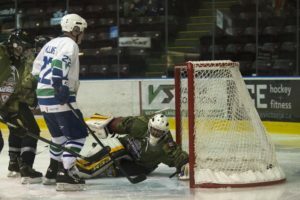 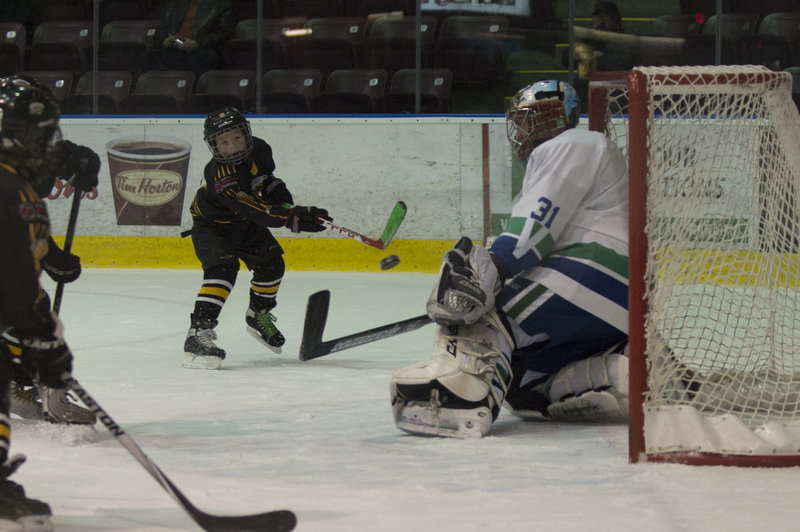 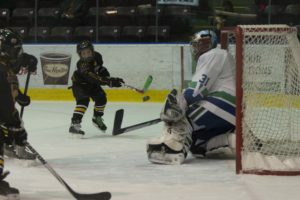 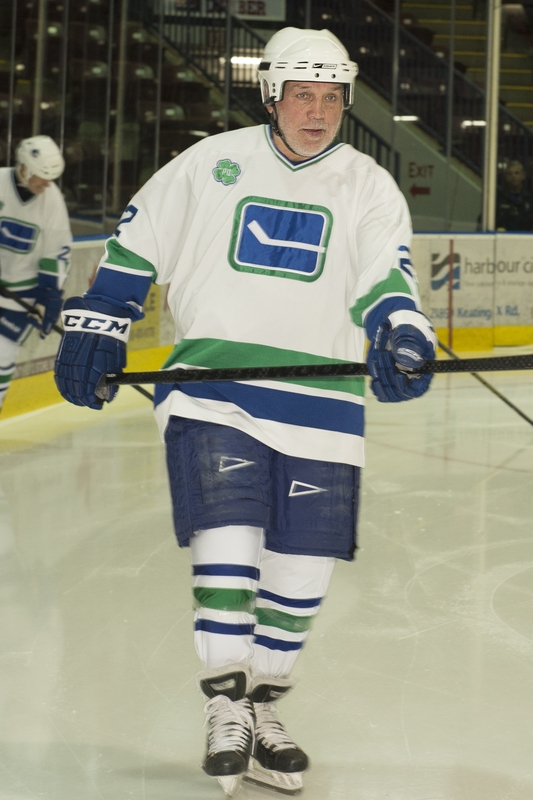 The Victoria Minor Hockey League took on the Vancouver Canucks Alumni team during the intermission. 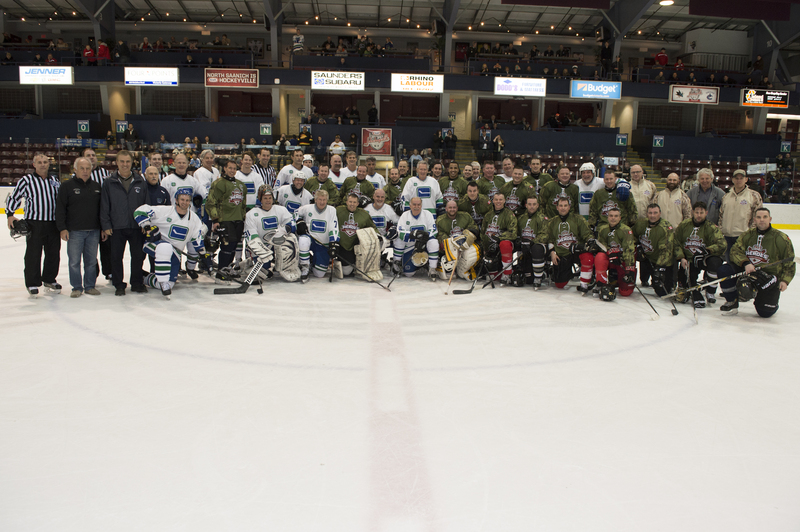 Members of the Heroes Hockey Challenge Warriors Team (Canadian Armed Forces Members), the Vancouver Canucks Alumni team and officials pose at centre ice. 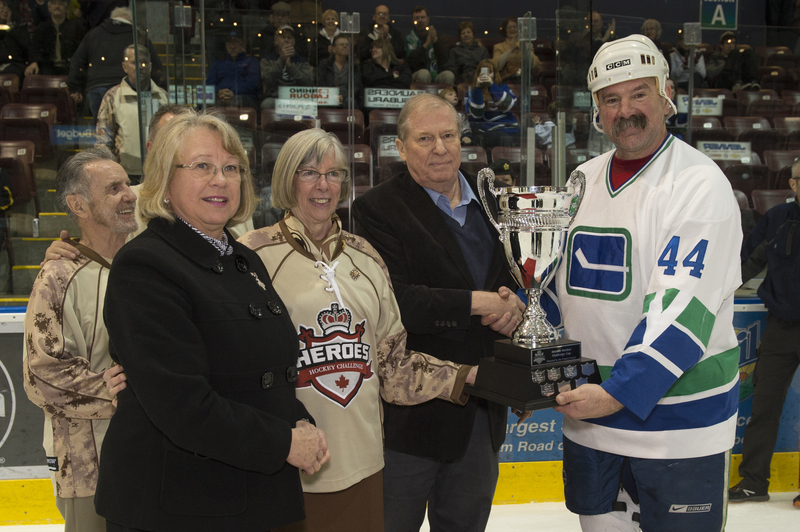 The Honourable Judith Guichon, Lieutenant Governor of British Columbia, with Silver Cross Parents Jane and Richard Nuttal, present the Heroes Hockey Challenge Cup to Vancouver Canucks Alumni Captain Dave Babych.